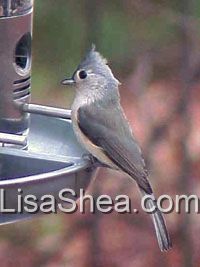 The Tufted Titmouse, Parus bicolor, is one of the small birds common to many feeders. It has a very long range, from southern Maine down to Florida and west to the middle of Texas and eastern Nebraska. It likes to live in forests and groves, and loves to visit feeders. 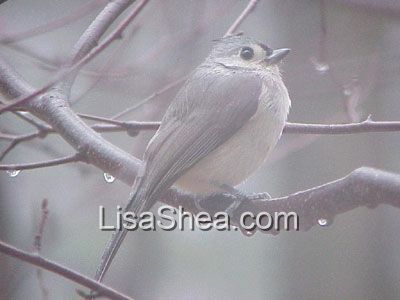 Here's a video taken in the summer in Sutton, which features several hungry titmice!